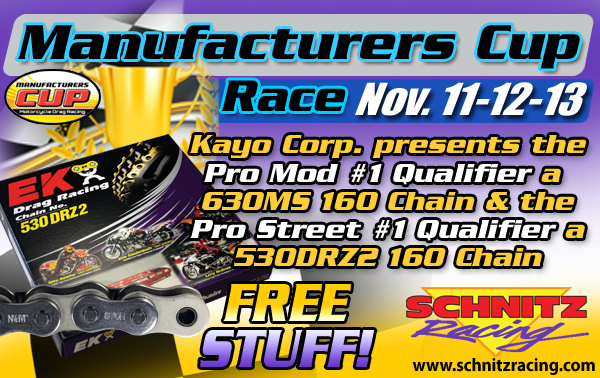 The 2nd annual Manufacturers Cup Finals from Valdosta, Ga., Nov. 11-13, will offer racers unprecedented opportunities to win bonus parts and prizes. 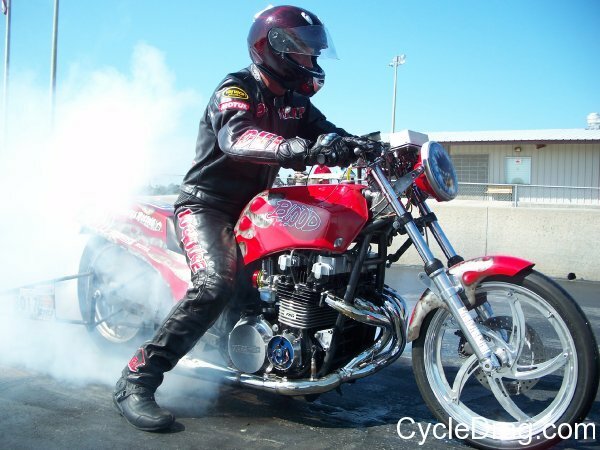 This extensive list of products adds to an already impressive and lucrative purse. 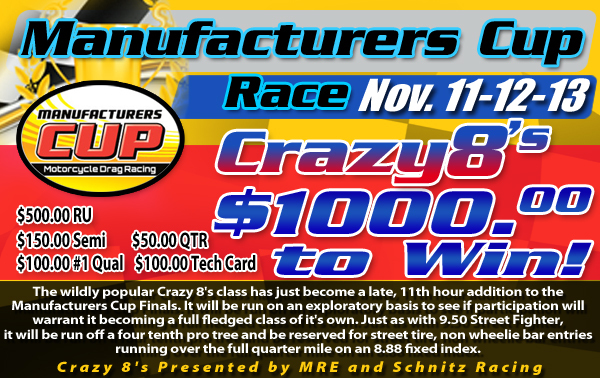 Dial it in, sharpen up your reaction time and don’t miss out on your opportunity to score big at The Cup. 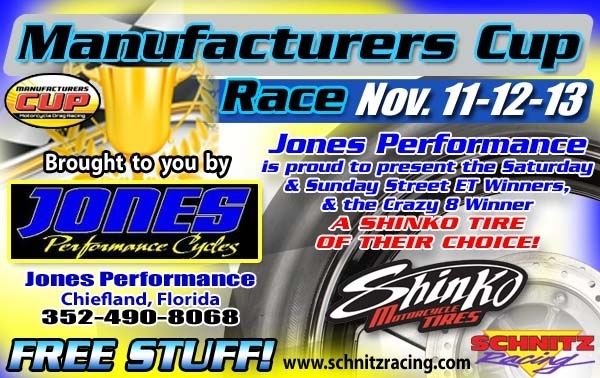 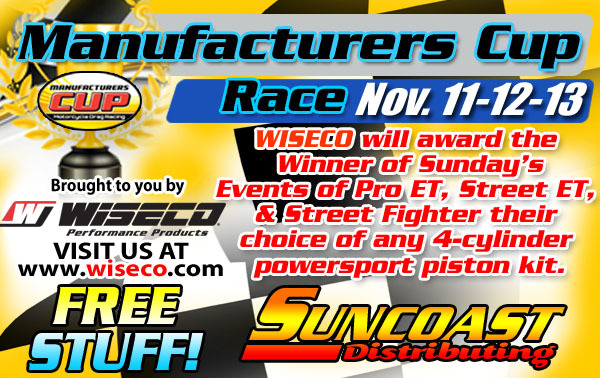 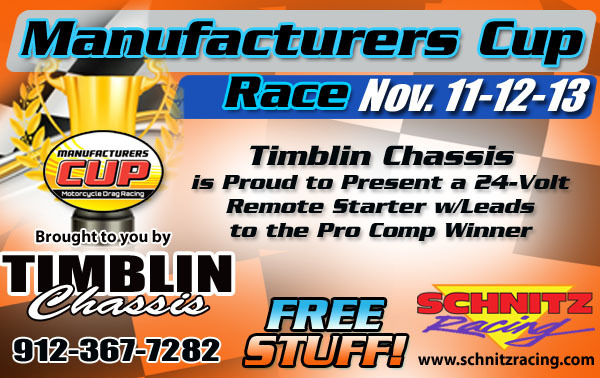 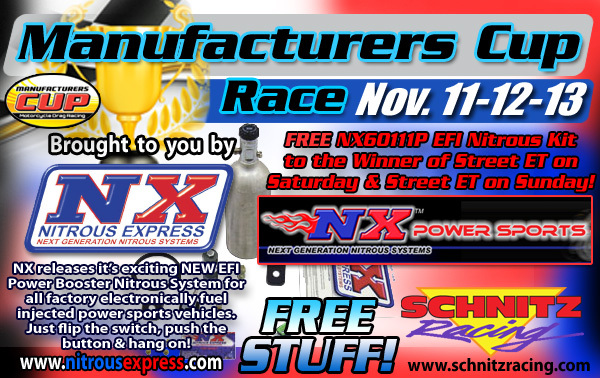 Most of these promotions were put together by Dave Schnitz at Schnitz Racing. 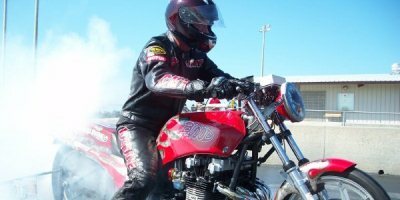 A big thank you goes out to Dave. 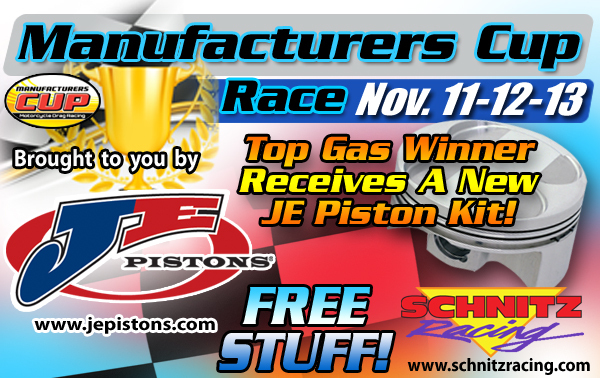 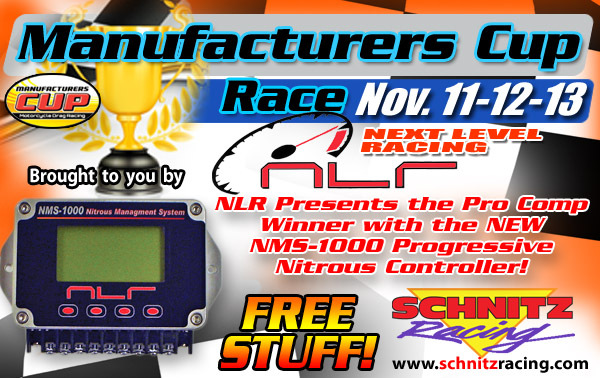 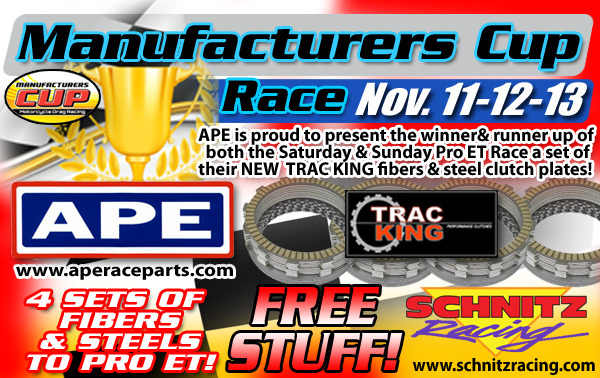 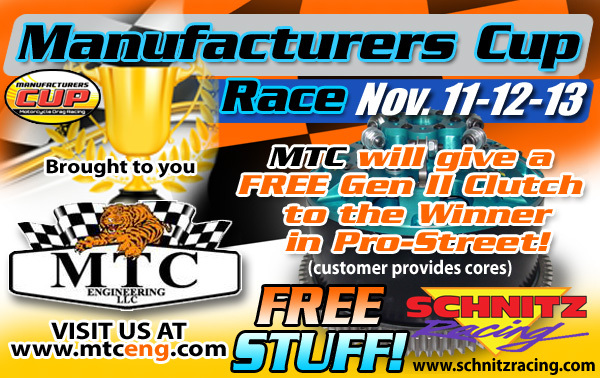 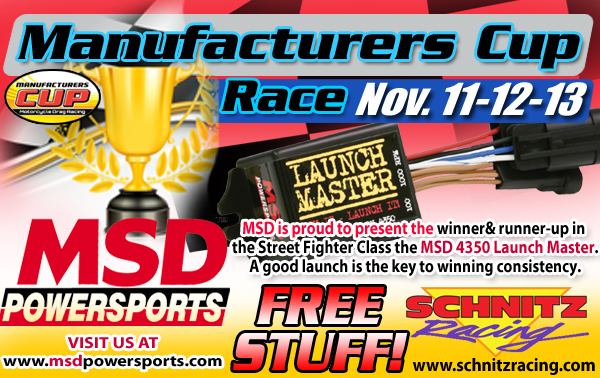 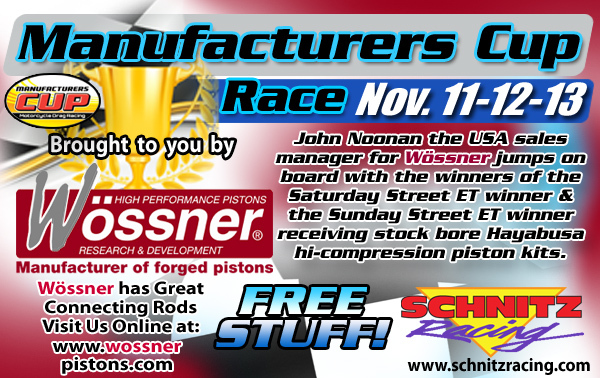 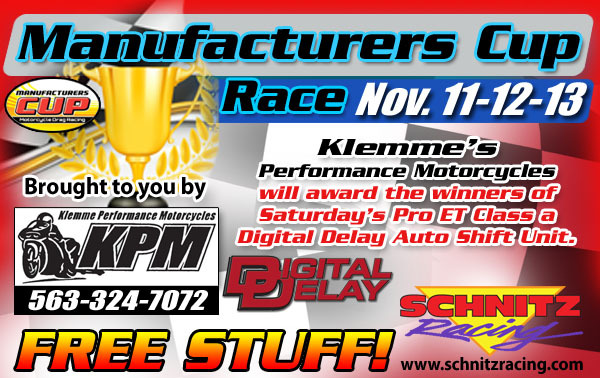 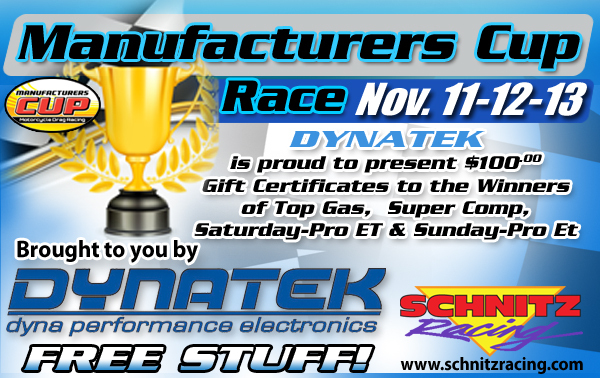 Click here to check out amazing deals on the Schnitz Racing website or to send Dave a thank you. 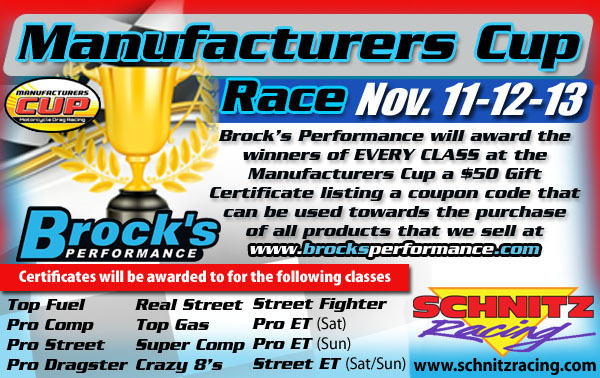 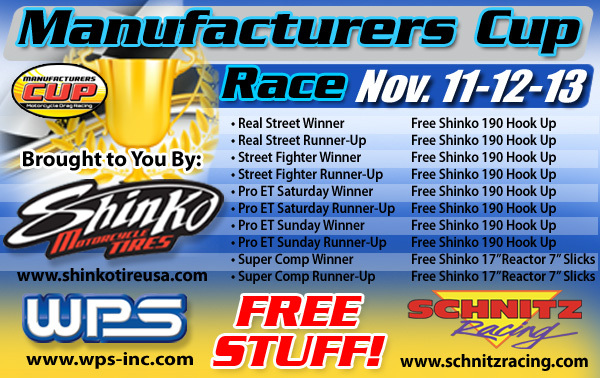 Here is a complete listing of the Manufacturers Cup promotions.